Thankfully, with the appearance of the azalea buds, we know that spring is starting to creep up right around the corner. Although it may come as a surprise to some, the year is already flying by and what that means for you as a homeowner is that it is time to check on your roof. When spring begins to invade our streets, you will experience warming weather conditions and and as is common in our area, an influx of storms that take over and rattle our trees and homes. This means that you don’t need to be worrying about the integrity of your roof and whether repairs need to be made. Before you find yourself scratching your head wondering what you could have done differently to prevent a roof collapse, follow the tips below and prioritize your home’s roof today. That’s right. The gutters need cleaning too. A gutter that is clogged with leaves and debris can become a hazard for your roof. The main purpose of a gutter is to remove water from your home’s roof and carry it to a more desirable location. If your gutter is overfilled, the water will backup, damage your roof, and cause rotting of the wood itself. In addition, the debris in the gutters can cause pests to gather and once they are cozy, they may go exploring and find a way into your home. If you feel you need help cleaning your gutters, you should definitely hire a professional as the job can be dangerous. Now that spring is here, it is time for you to have your roof inspected. You should have the inspection done at least once a year and during the inspection, you can expect to learn more about problems with the roof or any repairs that may need to be made. 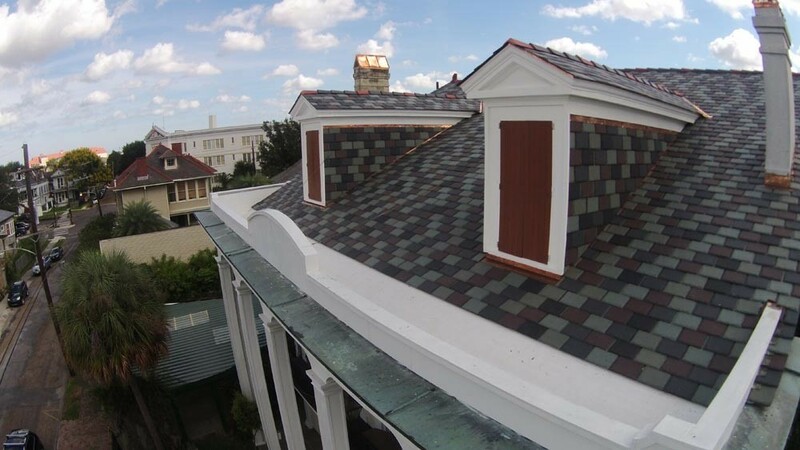 Once your roof has been assessed, your roofing contractor will begin to look deeper into the problems. Records from your past inspections. Your roofing contractor will look over any past roofing inspections you have had completed to see if those inspections detected any problems. This can also help your contractor know what to keep his eye on, especially if a previous inspection noted potential damage or problems. Loose material on the roof. This can be a sign that there may be damage due to your gutters backing up. The debris can also cause shingles to knock loose and damaged gutters can cause water damage. The surface of the roof will be inspected to see if there are any problems that may cause the roof to decay quicker than normal. At this time, the contractor will also look for any signs of mold, fungus, or algae on the roof. While the contractor is on the roof, he will look for any signs of rust on the metal parts of your roof. Rusting is easy to fix, but it is important that it is handled in a reasonable amount of time; otherwise, it may become difficult to repair. The interior ceiling of the home or building. Your contractor will also want to look at the interior of your ceiling to see if there are any signs or symptoms that a problem may exist. For instance, if you have brown spots on the ceiling, then there is a leak somewhere. You can, of course, inspect your roof on your own, but it is recommended that you enlist the trusted services of a qualified and experienced contractor to handle the process. You will be much safer overall and your roofing contractor can catch problems that often go undetected by inexperienced homeowners. JOI has many years of experience in the New Orleans area, and can put your mind at ease quickly. Call today!